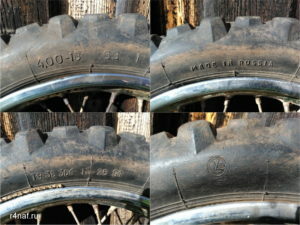 The most passable tire for a motorcycle, produced in Russia. Hello, friends. 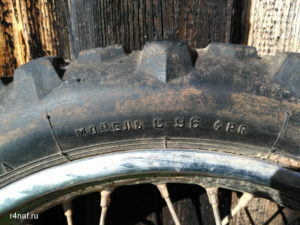 I found the old C-96 tire manufactured in Russia. Unfortunately, this bus is no longer produced. I could not find it in the stores. 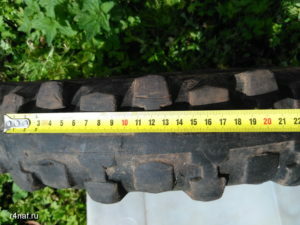 What are the advantages of this tire? 1. Hard rubber, less wear on the asphalt. 2. One-piece central strip, less wear on the asphalt. 3. One-piece central strip, there is no noise when driving on asphalt. 5. Large distance between the checkers, the protector is not clogged. 6. Versatility: asphalt / off-road. 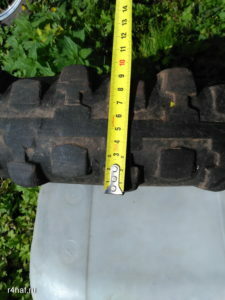 If I find such a tire on sale, I’ll write where it can be purchased. 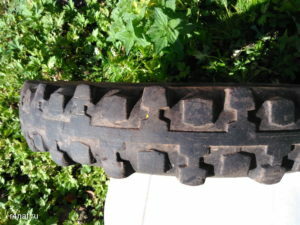 I would like to put this tire on the Soviet motorcycle IZH-Planeta. In the meantime, I choose the Continental TKC80 Twinduro R18 4.00 / 64R. This entry was posted in Uncategorized and tagged cross, cross bus, enduro, IZ, motorbike, Motorcycle, off-road, tire, Мотоцикл. Bookmark the permalink.